Apply conditioner to the whole wig. 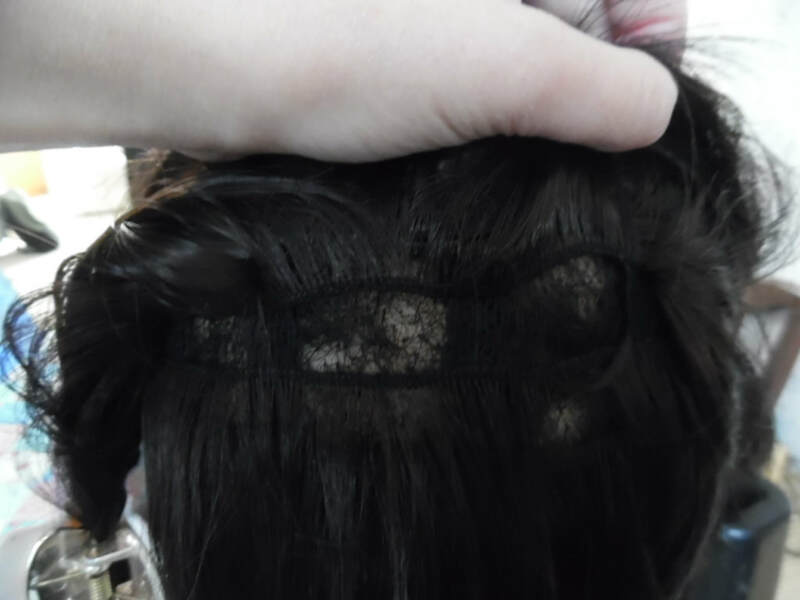 Find the centre half of the wig and part into two sections, so you have a top half and bottom half. 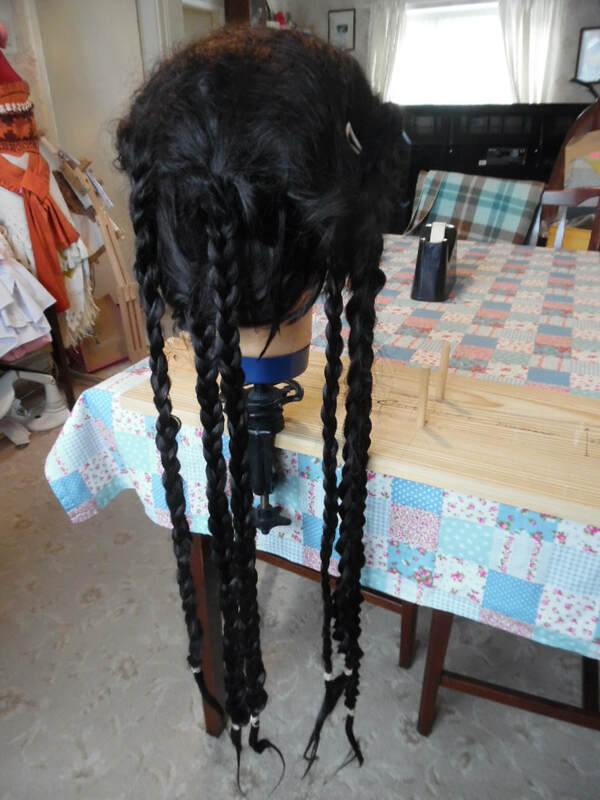 Then divide each of the sections in two and create two plaits. It would help you to watch the video tutorial for the wig. 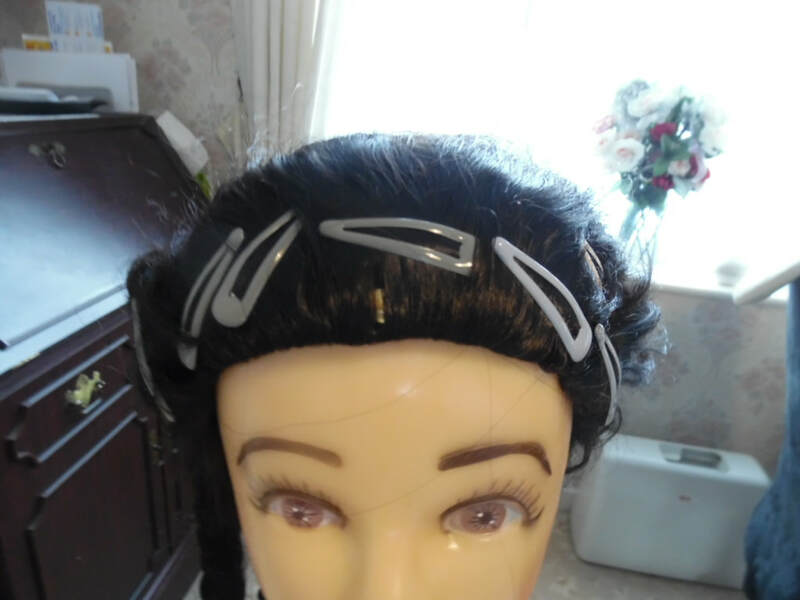 Use hairgrips to keep the front of the wig flat. 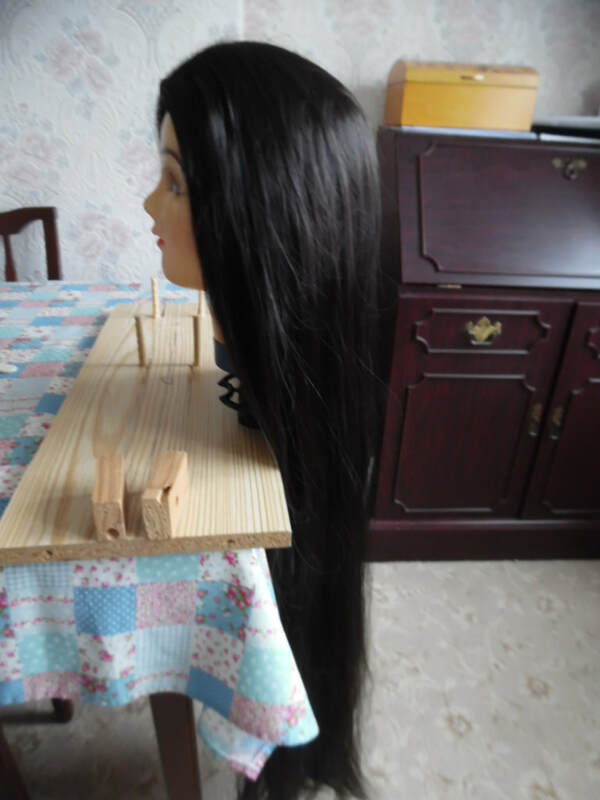 Being VERY careful, steam the wig over a kettle or a saucepan of boiling water. 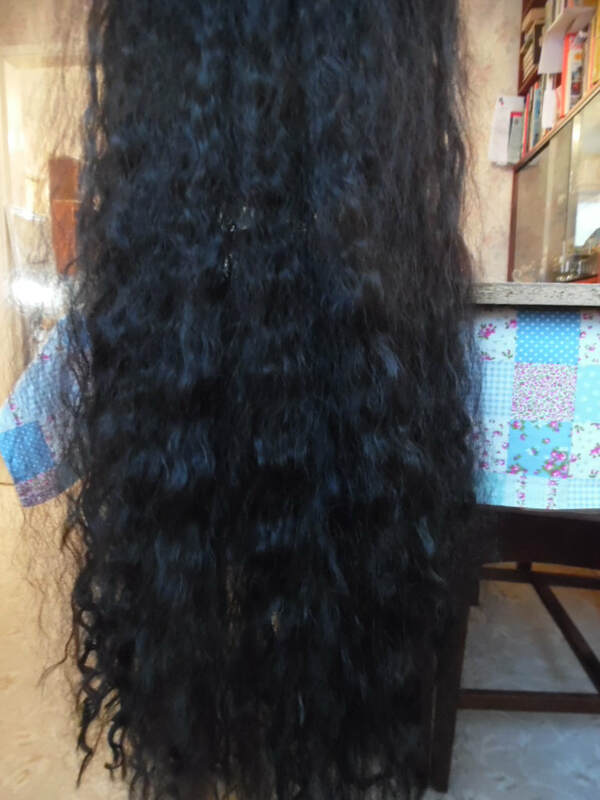 DO NOT let the wig fall into the water otherwise you will destroy the fibres.